Does your NXT have a faulty display? 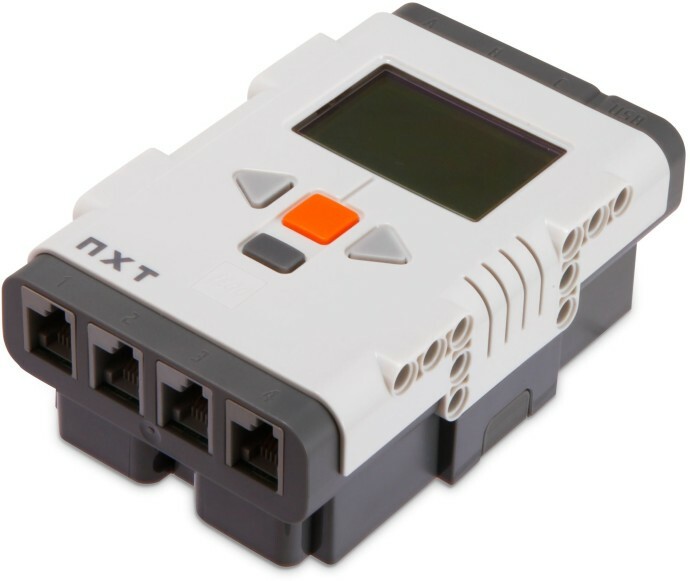 "Unfortunately, some of the NXT Intelligent Bricks manufactured in-between 2006 and early 2008, may have a faulty display, resulting in a flickering or non-working display. "LEGO Corporate Management has decided that any NXT Intelligent Brick manufactured with this malfunction of the display will have an extended guarantee beyond the standard guarantee. The LEGO Group offers to replace NXT Intelligent Bricks with the above-mentioned faulty display. "If a user wants to have a NXT Intelligent Brick replaced based on this quality issue, please ask to contact LEGO Consumer Service, contact information available on the web for your country. Please note that the display needs to be defect." Steven has asked that if you think your NXT suffers from this problem, please check the battery first before contacting LEGO customer support, as similar issues are seen when the battery is running low on power. Only NXTs with a genuinely faulty display will be replaced. All right. I don't have one, so it doesn't matter. However, I was thinking of getting the 8527 in 2008. Good job that they all the NXT Intelligent Bricks are fixed now! Thanks for this information. A while ago I noticed my display was acting up but I hadn't gotten around to contacting Lego to see if it was covered by a warranty. After reading this I called customer service and they're sending me a replacement. I've always appreciated how much Lego does to make sure their customers are happy, and it's a shame more companies don't operate that way. Really my display broke over the summer! And I was hoping to get a new one! :D Thanks guys! I have two, but, thankfully, they haven't broken nor were they faulty. I used them for a science experiment and they worked fine. I wouldn't even have one, only an uncle bought a kit for my siblings and I. Where did you find this information? I checked Lego.com, but couldn't confirm this. I have 2 broken NXT units. If this is true, I will be so happy! I didn't 'find' this info, I was given it by Steven Canvin himself, through the LEGO Ambassador programme. It doesn't cover general broken NXTs, only those suffering from this specific problem - the faulty display. Just contact LEGO Customer Service; they'll sort you out if you qualify.